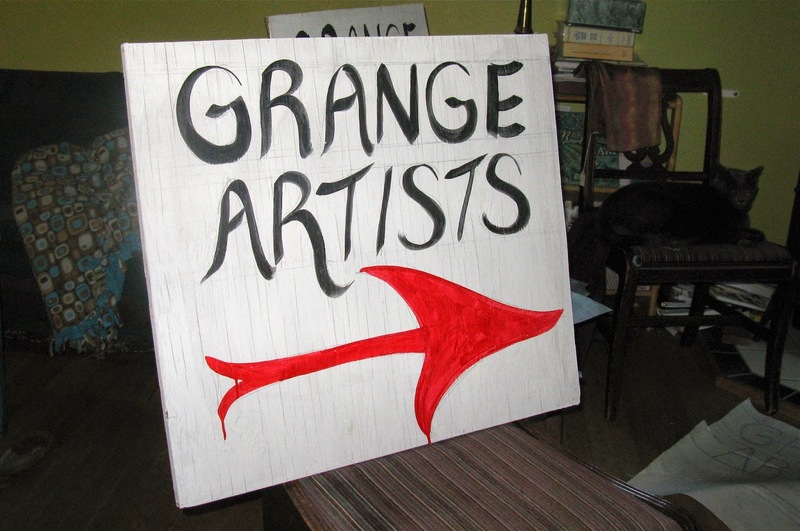 Studio Notes: The Grange is Alive with Art! The Grange is Alive with Art! 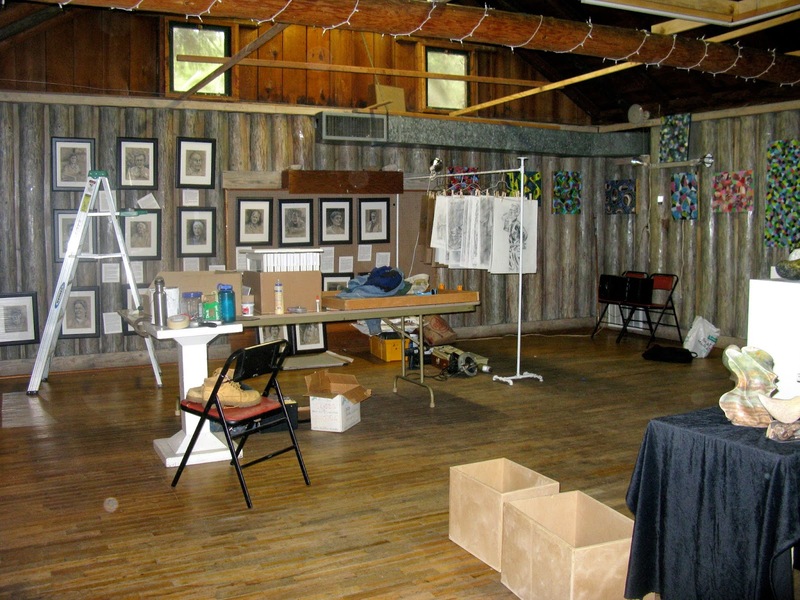 First time ever Studio Tour at the Grange Hall, just off the upper parking lot by the ferry. We are all pulling together to get this show up, and it looks good! Will has done a fantastic job organizing us, putting signs up, bringing in plywood to hang our paintings on, putting up lights. Besides some of his oils, he is showing his portraits of islanders, and a new thing: wedding puzzles! Valerie painted the plywood, choosing a color that blends very well with the log walls. Her little dog, Do, guarded us well, announcing every one as they came in. Valeries encaustics and watercolor florals delight the eye. Len's bright abstracts are like quilts in acrylic and his figure drawings are full of character! Len is the featured artist at Duet this month as well. Najua's paintings have a gentle sweet quality. 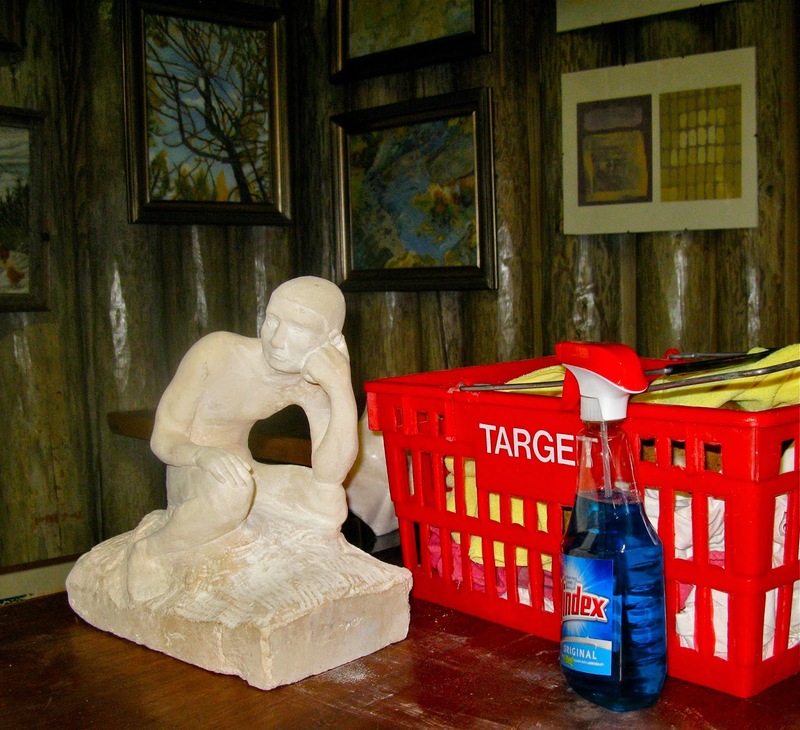 Gus takes center stage with his sometimes abstract sometimes figurative sculptures--so sensuous, I can't keep my hands off of them! 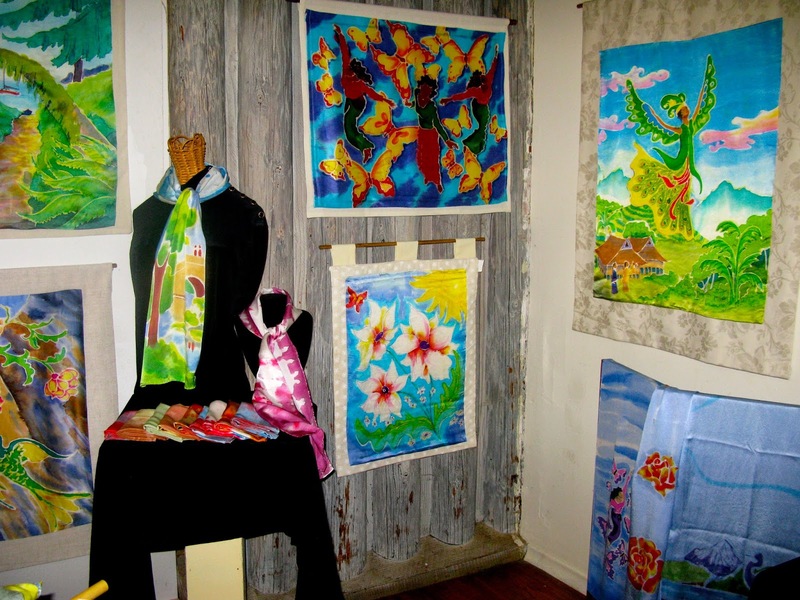 Marcia's rooster and her landscapes and florals are elegant and colorful. 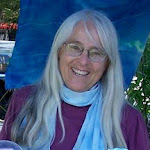 You may have seen her work at the Heron's Nest. Suzanna Leigh-me. I've been experimenting with natural dyes and with painting on fabric you can play with! My paintings on silk are now available as prints on canvas, and they do look good!